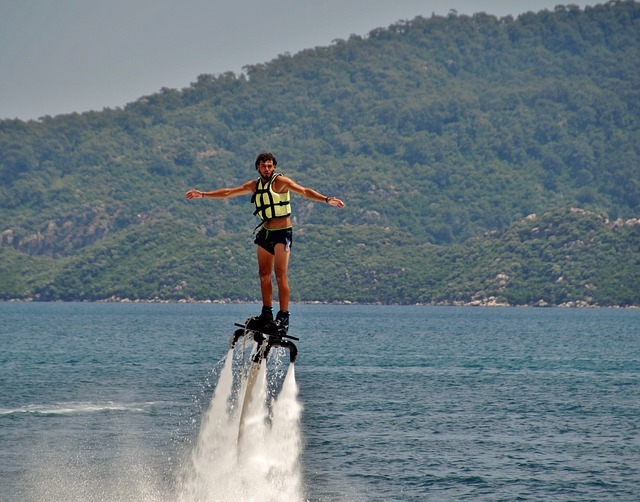 Flyboarding is a relatively new water sport that has come to Bali. With a board strapped to your feet you are propelled into the air with 2 jets of water which is pumped in by a jetski riding along side you. Fly through the air with no wings! There are a few companies that have setup in Bali with all the equipment to allow you to go Flyboarding. The best place to go flyboarding in Bali is arond Tanjung Benoa and Nusa Dua where the water is calm. Tanjung Benoa is located just north of Nusa Dua, around a 25 minute drive from Kuta. Benoa Flyboard operates out of The Whacko Beach Club at the northern end of Tanjung Benoa Bali. Flyboard Bali is located at Jalan Pratama No 84 Tanjung Benoa Bali.